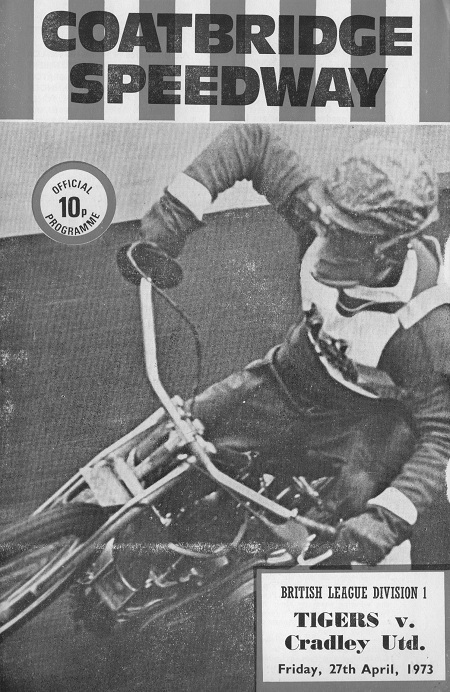 Coatbridge, In Lanarkshire, witnessed speedway racing for the first time in 1968 at the ground of Albion Rovers Football Club. 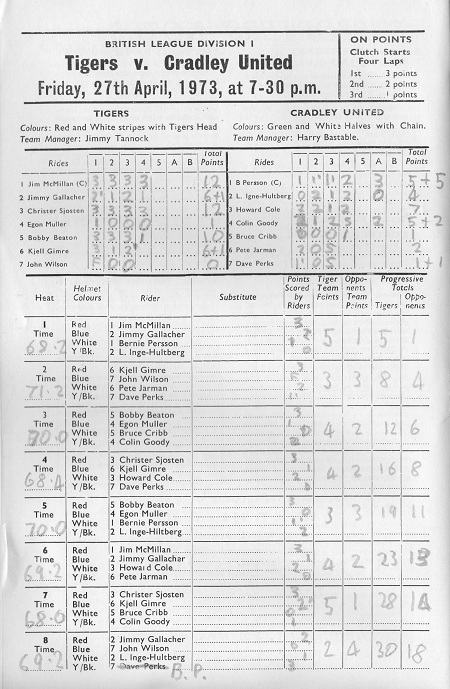 The inaugural meeting took place on 6th April of that year which culminated in a welcome win against Glasgow 54-42. The team took part in various tiers of the British League between 1968 and 1977 before closing on 17th June of that year. 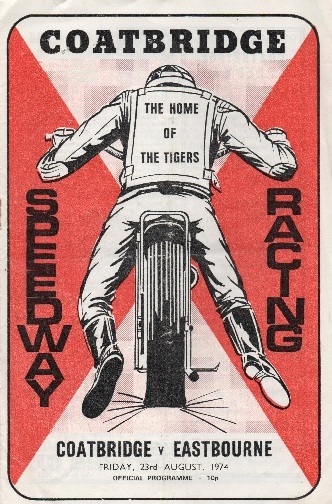 The stadium had been used for greyhound racing since its first meeting on 11th December 1931, but that came to an end after 24 years and it was speedway that eventually made use of the vacant facility. Known initially as the Monarchs, for the majority of their history they were known as the Tigers. 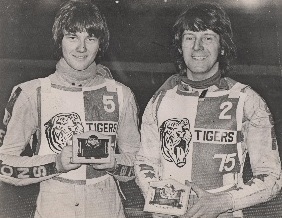 A further great source of information is provided on John Skinners excellent website on Defunct Speedway tracks, with a link given below. I am grateful to John and Chris Wilson for the Coatbridge items shown below. 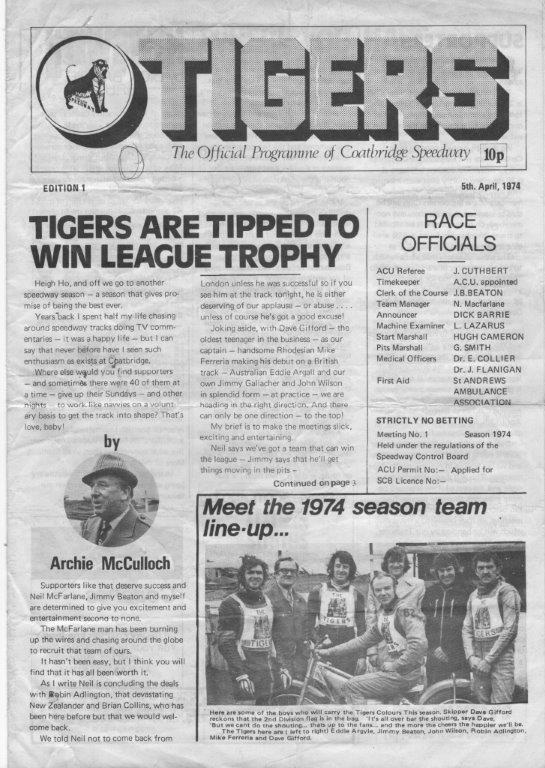 The first 1974 programme, when Tigers went into the Second Division, was black and white. A much improved colour version was produced for the remainder of the season. The photo opposite shows John Wilson and Graham Dawson winning the Scottish Open Best Pairs event in 1975. The 2 programmes shown below are courtesy of John and Chris Wilson and are from Coatbridge's season in Division 1. 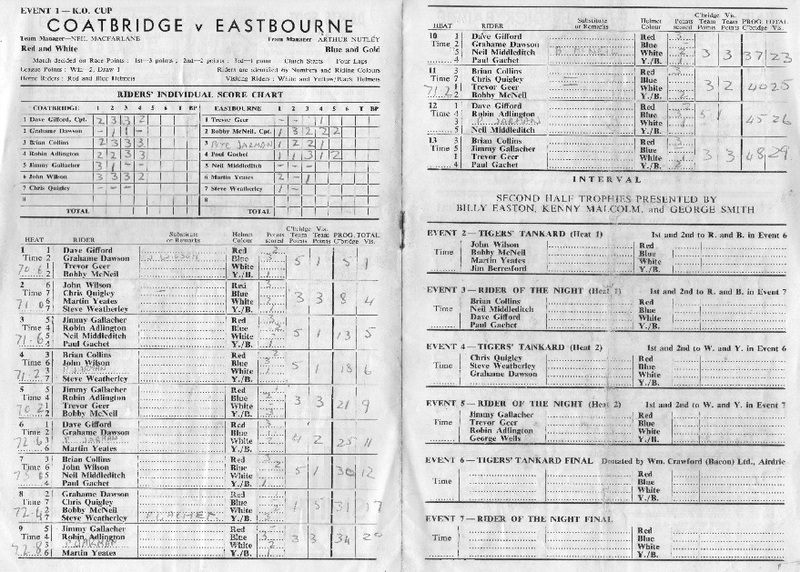 One marks the occasion of Egon Muller's first British League meeting. on Friday 27th April 1973. 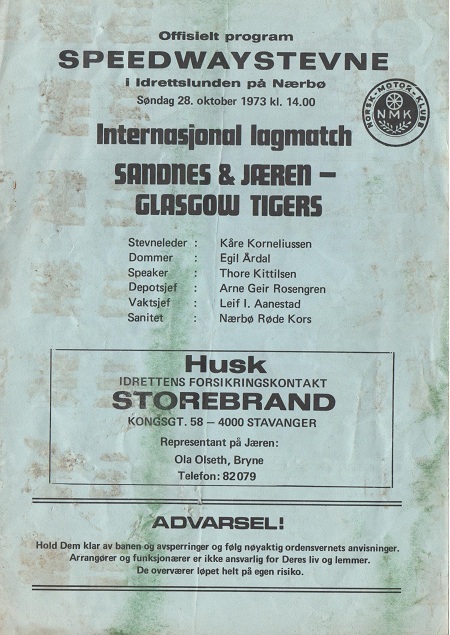 The very rare programme shown opposite is courtesy of John and Chris Wilson and is from Coatbridge's tour of Norway after the death of Norwegian Swein Kassa.